Hello Chicagoans! I’m excited to inform you about a very “Chicago” movie, One Small Hitch, plotted and filmed in our beautiful city, Chicago. As of TODAY, Friday, February 6, the movie will be playing in select theaters and available to view through satellite, cable and the Internet. The film director, John Burgess, a Chicagoan himself, brought the film to his hometown and casted a crew, many from the Chicago area themselves. The quaint romantic-comedy tells the story about two childhood friends, Josh and Molly, who are reunited on their flight home, to Chicago, for Molly’s mothers wedding. Molly is bringing home her “Mystery Man” as her date to the wedding, until she dumps him curbside at the airport after finding out that her Mystery Man has a Mystery Wife. Upset about her unexpected breakup, Molly finds herself crying on her old friend Josh’s shoulder for moral support. Just when she falls asleep on him, Josh receives a phone call from his parents. Josh learns that his father is dying and the one regret he has is that he will not live to meet the woman his son will someday marry. Wanting nothing but to grant his father’s final wish, Josh frantically announces that he in fact has already met the woman that he is going to marry, and he tells his parents that the woman is Molly. After confessing to Molly mid-flight to Chicago, Molly is furious with Josh and makes him promise her that he will turn this around by telling the truth right when they land. The movie packs in tons of funny, sweet, romantic moments, and lots of familiar places & faces that Chicagoans are sure to recognize. 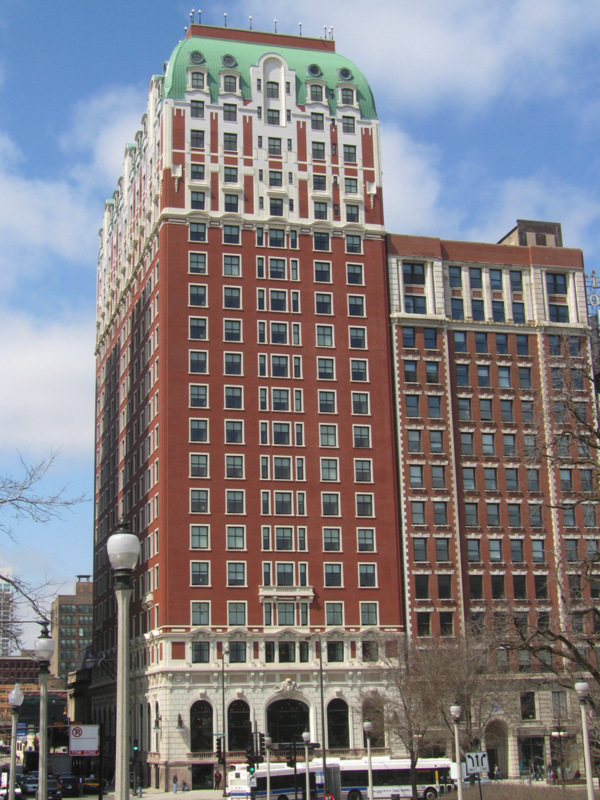 Some may recognize Chicago’s amazing, historic, landmark, the Renaissance Blackstone Chicago Hotel, which is famous for celebrity guests including various U.S. presidents and prominent gangsters. Along with the “Hotel for Presidents” the scene filmed in the Crystal Ball Room overlooking Grant Park and Michigan Avenue stars a familiar face to any Chicagoan. Chicago’s local celebrity figure, Billy Dec, plays the hotel concierge. Mary Jo Faraci and Ron Dean, two beloved Chicago actors both play in One Small Hitch. Faraci is no stranger to Chicago Theatre, as she has appeared in several regional spots across Illinois. In 1996, Dean was nominated for the Joseph Jefferson Award, which is a special award for Outstanding Contribution to Chicago Theatre. He is most well-known for his roles as Chicago Police officers. It is a huge compliment for local Chicago actors to have roles in independent films that take place in their home city. How proud they must be to represent their hometowns… talk about Home Town Heroes! I hope you all enjoy the movie! For more details on which theaters will be playing the film, and how you can watch it at home, click HERE! That’s all for now, but be on the look out for more fun Chicago blogs written by me, Jenn!